Burger King Japan is just about to release its latest killer burger called the Black Ninja Burger. The Kuro Ninja or Black Ninja Burger features a pitch black bun that is coloured with bamboo charcoal, very similar to the popular Premium Kuro Burger that came out last year. The Black Ninja Burger also features an extra-large slice of flame-grilled bacon (called King’s Bacon) that protrudes out from the sides and looks like your burger is sticking its tongue out at you. The burger also comes with a whopper patty, hash brown, onions, lettuce, mayonnaise and a dark brown Chaliapin sauce, which is a garlic-onion soy sauce named after a Russian opera singer. Why is it called the Black Ninja? 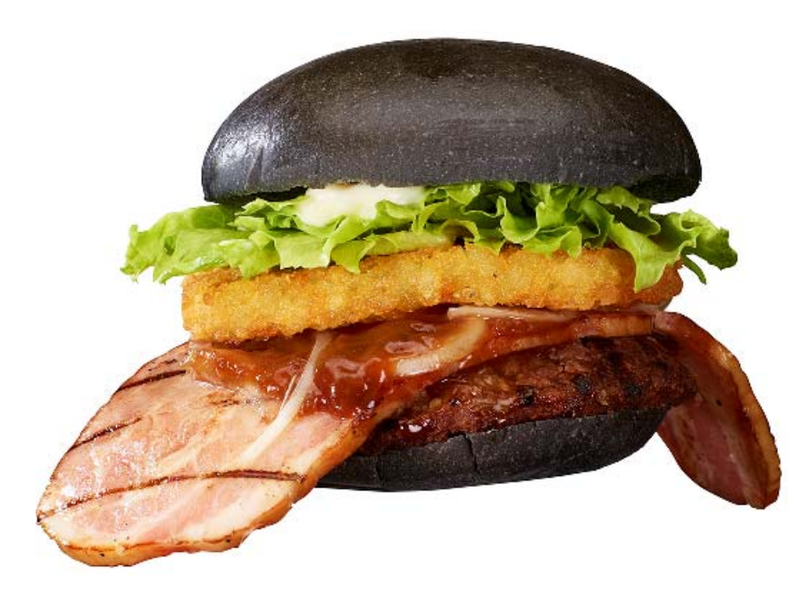 Well basically the burger is meant to resemble to black hood of a ninja with the extra-large slice of bacon, the ninja sticking out its tongue. This is Japan after all, the land of all things cute! Japan has a mascot for everything and the Black Ninja Burger is no exception. 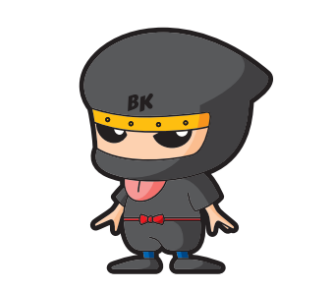 Here is the cute new mascot for the Black Ninja Burger. You can get some Black Ninja character stickers when you order either a medium or large set meal. 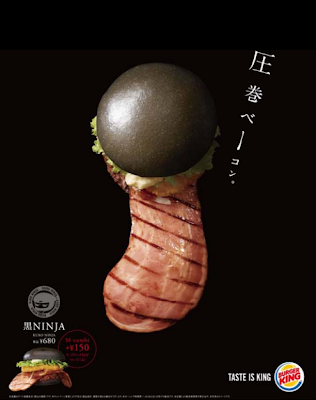 The Black Ninja Burger will go on sale in Japan from October 25 for 680 yen (USD$6.80) for a limited time. 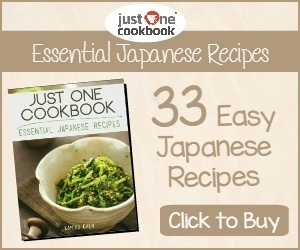 I would like to try it, although it seems a little expensive. Thanks Machi, Yeah, unfortunately the limited edition burgers are usually a little more expensive. Wow! That is huge. Love the mascot. It's scary what the burger chains are recently "inventing" to compete with each other, don't you think? Thanks ZJ, Not everyone's cup of tea and that is fair enough. The burger chains in Japan seem to be trying to outdo each other at the moment due to competition. I've been meaning to try this burger because it's just so freakin' weird looking. I guess a ninja "tongue" made of king bacon is better than having a ninja's katana blade hanging out of the burger. THAT might not be not be so pleasant.